Destiny 2 starts off with the player (known hereafter as “the Guardian”) in dire straits. Earth’s last city has been suddenly and viciously attacked by an alien collective known as the Cabal. The Cabal and their leader Dominus Ghaul seek the Traveler, a mysterious spacefaring machine that commands powers over mortality and reality. Since the Collapse, a cataclysmic event that punted humanity out of its prosperous Golden Age under its shadow, the Traveler has laid dormant over Earth’s last city and is protected by Guardians–previously mortal inhabitants of Earth (and beyond) who are now the Traveler’s immortal army. While Ghaul attacks the Last City for the Traveler, he specifically seeks the Traveler’s Light. Light is the power that Guardians, supervised by the Vanguard, wield in their defense of the Last City and what allows Guardians to be reclaimed from death. With a pinpoint attack on the Last City’s main defense outpost called the Tower, the Last City’s defenders are scattered and must recover to push back the invasion, evacuate civilians and protect the Traveler. The Red Legion, Ghaul’s personal army, ensnares the Traveler and cuts Guardians off from the Light. The Vanguard’s motto, “Be brave,” is challenged when Ghaul reminds the player that Guardians aren’t brave at all–they have merely forgotten the fear of death. The player is tossed effortlessly from Ghaul’s command ship and now wanders Earth as a mortal. With the Last City now hostile territory and the Traveler in the hands of the enemy, the player must seek refuge and strength in order to save humanity. Destiny 2’s campaign starts off strong and immediately puts a face and a name in front of the player with a clear set of goals. This laser focus is a clear step forward compared to Destiny, where the player was combating The Darkness in all its varied forms. While the player went planet-hopping in Destiny to chase a mysterious stranger’s call for help, Destiny 2 guides players through cohesive story with consistently recurring characters who have (mostly) clear objectives. Some characters are charming, some witty, some worrisome and some downright punchable; regardless of how one feels about the individual characters, another clear improvement in Destiny 2 is that there are characters to love, to adore and to dislike. From the very start, the areas available to the player feel more alive and less lonesome, even if other Guardians can be seen playing along with the player in public spaces. While the player travels to new and exotic destinations to recover allies and battle adversaries, the campaign’s cinematic line mostly stays in the Last City, following Ghaul’s attempts to claim the Light for himself. These cutscenes reveal some information about the history of the Cabal and about Ghaul’s personal motives. A run-of-the-mill character in terms of origin, Ghaul becomes increasingly more complex as the player learns more. The face of Ghaul touches on another aspect that Destiny was very sorely missing: agency. In Destiny, the player never felt in control of events or even in-the-know most of the time. When the player fought enemies, their motives didn’t seem entirely clear at all either and the end of the story campaign culminated in a scene with a host of alien lifeforms robotically defending an eerie floating blight of Darkness. Destiny 2 seeks to give protagonists, antagonists and supporting characters alike their own reasons to exist and to act independently. For all the improvements Destiny 2 has made over its predecessor, there are some areas that could obviously use improvement. While the player gets to see the Vanguard in action for the first time, most character interaction still takes place over communications dialogue. The characters themselves, old and new, are mostly static in that they are rooted where the player finds them, with a few notable exceptions. The playable universe feels more alive, but doesn’t quite have a truly dynamic feel yet. The campaign’s length, due to the streamlined nature of the game’s storytelling, is a bit short. This would normally be a real issue for a major game, but the majority of the real fun of Destiny 2’s various modes really begins once the player completes the campaign. That being said, the player’s separation from the Light and the journey undertaken to re-establish a bond with the Traveler’s Light was a storytelling moment that was left on the table. The moments before loss of Light were tense and engaging and the campaign events involving regaining power are standard superhero fare, but the critical period of vulnerability and struggle seemed criminally short. As players, we also only briefly got to see the rest of humanity coping during the campaign’s events–this is especially important since only Guardians are immortal, but humanity and the Guardians still co-exist. A brief moment where the player can see Guardians and humanity cowering in a relatively safe hallway together sheds a light on what could have been a serious and reflective story for the player to consider. Two stories that could have really attached a player to their character and to this most vulnerable generation of humanity failed to appear front and center for more than a moment. Co-op online multiplayer is arguably the heart of the Destiny franchise. The idea is to get together with some friends, recline in a comfortable chair, and shoot some aliens while you shoot the breeze for a while. Destiny 2 has some hits and misses here, but still generally succeeds in making playing with others a fun time. How many Hunters does it take to read this map? Fireteams are the in-game parties of the Destiny universe and come in many different sizes, depending on the activity. Fireteams that want to tackle campaign missions, adventures or strikes are limited to three players. Fireteams that want to journey into competitive multiplayer are limited to four players. Finally, fireteams that want to challenge the raid are limited to six players. The good part about most of these is that a player can solo queue for anything besides the raid or “single player” content and the game will matchmake to find other players for the activity. The aforementioned player’s friends can then join in over time, meaning the fireteam limit doesn’t have to be reached to play an activity. However, the nature of small teams usually means folks are going to have to rotate in and out if a group of friends larger than three players routinely wants to play with each other. Sometimes it’s cool to envision what patrols or strikes would look like if their content and difficulty scaled dynamically past three-player fireteams. Alas, that world is not the one we live in, though. The sharp contrast between three- and six-player teams can be jarring for some smaller groups of friends. The lack of more six-player activities can be boring for larger groups of friends. If Destiny has a true weakness in its cooperative game, the lack of dynamically scalable content might very well be it. By allowing fireteams to stretch and expand up to a reasonable limit beyond three players, much more content could become more immediately engaging, especially if the difficulty and mechanics scaled to the size of the fireteam. Competitive multiplayer was the gas in the tank that helped Destiny last for as long as it did during its more lulled stages. The big reason the Crucible is so engaging for players is because while some aspects can be expected and predicted, most games don’t play out the same way every time. In a sense, the Crucible is Destiny’s most reliable source of replayable content. What pushes players away is the obviously tense and difficult nature of competitive gaming. Destiny 2 seeks to streamline the Crucible experience as well, making it easier to learn and play, if the player truly seeks to improve. The biggest change to the Crucible is the universal 4v4 combat paradigm. All modes and maps are designed for 4v4 play, making the design philosophy more obvious to the player and making the inevitable sandbox changes in the future easier to tackle on the development side. Instead of being able to pick individual game modes, the Crucible now offers two distinct playlists of rotating game modes based on the level of engagement a player wishes to enjoy. Low-intensity game modes like Clash and Control are available in the Quickplay playlist. Modes where quality performance is expected like the new Survival and Countdown are available in the Competitive playlist. If you want to take a more relaxed approach to Crucible, Quickplay is for you–just don’t get mad when other players are more “relaxed” than you. Likewise, Competitive is available if you want to get down and dirty, but remember that players in the Competitive playlist are more likely to be roaming the battlefields with friends. The most welcome change to the Crucible is the amount of information the game is now willing to share with all players who choose to pay attention. The kill feed details players who pick up power ammo and where that ammo was picked up as well as players who activate their Super abilities. The radar now displays map location names (“Patio”, “Warehouse”, “Upper Pipe”, etc.) so your teammates can provide proper information instead of yelling, “Over here!” or, “By me!”. The HUD now displays the score at all times and also outlines the subclass layout of all players, their mortality status and their super status. Gone are the dark days of screeching, “Hammer check! !” on the comms and wondering just whose Golden Gun got activated a second ago. Outside of the mechanical changes, the organic playstyle changes in the Crucible have already solidly taken root. With the reduced size of both teams and maps, players see just how strong team play is and team shots (the act of having multiple teammates focus down a single target) are much more prevalent. Lone wolf gorilla plays are less likely to occur because of longer ability cooldowns and fewer stragglers on a team. While reserved styles of play are generally more effective, a good flank is now extremely rewarding and can turn the tide of points as well as overall map control. If your team is unable to break a defensive position, you will have a tough time keeping up. The counter to heavily reserved playstyles is that, in some game modes, point swings can be swift and brutal if a team doesn’t keep their eye on the ball. Strategy is highly valued even in the calmer Quickplay playlist and the will to win is an undeniable asset. Destiny’s time-honored tradition of power-enabled gameplay is back. Sort of. Lord Saladin returns to the Tower and now comments on Iron Banner matches. Iron Banner no longer enables power levels for its gametypes. Iron Banner no longer rewards gear after matches, granting tokens used for gear redemption instead. Lord Saladin’s gear offering is much broader, but now uses Destiny 2’s faction engram system, meaning the player cannot target specific pieces of gear to obtain. Some of these changes will be welcome additions for players. Some of these changes may be game-breakers. More than just its changes, though, Iron Banner’s main perk has always been to team up with friends for a PvP festival that has a different air compared to regular Crucible play. Due to Iron Banner’s unique gear offerings, Iron Banner brings out players from every nook and cranny of the Destiny 2 universe. You’ll see players who have never captured a Control point before (and never intend to). You’ll see full stacks of enemy clanmates crumble at the slightest sign of your team’s tenacity. Be patient, be prepared. If for no other mode in this game, truly, one must “be brave”. Destiny has a short but undeniable history of capturing the haunting howls, flowing melodies and brilliant sparks of an interplanetary journey. Destiny 2 has a distinct audio footprint that separates it from its predecessor. 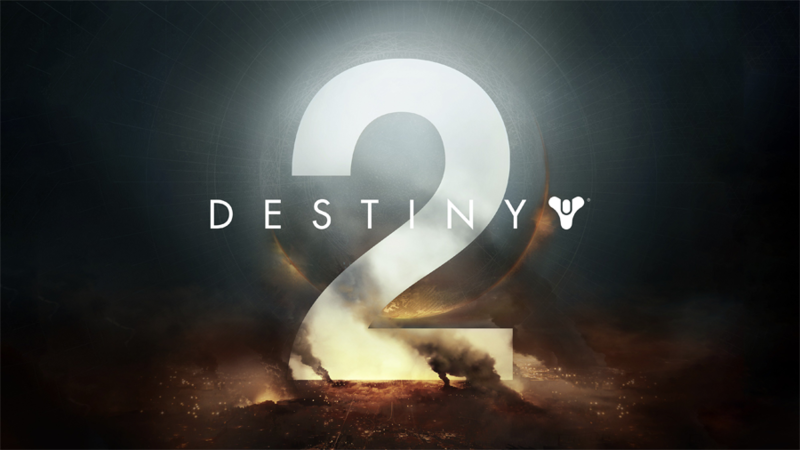 Destiny’s original soundtrack tried to capture the enormous scope of the universe that the game created. As such, it was incredibly complex, subtle and evasive. What made the original Destiny soundtrack difficult to listen to was the fact that the game never truly matched up to the tracks that were trying to tell what seemed at times like a much grander story. Destiny’s The Taken King and Rise of Iron have changed direction musically and the turn has been completed with the soundtrack of Destiny 2. The soundtrack is now a bit simpler to listen to and, while it doesn’t evoke the imagination of distant stars, plays much better into the scenarios that the game offers up. In time, as Destiny’s universe changes and grows, one should rightfully expect the soundtrack to grow with it. For now, though, the music walks hand-in-hand with the gameplay. Something to note is one of Destiny’s lesser-lauded features, but still important nonetheless. Ambient sound. Destiny really made its initial destinations (Mars, Venus, the moon and a broken Earth) seem enigmatic, uncaged and dangerous with its ambient sound. From Eliksni howls across the wastelands of Old Russia to the bubbling crusts of Venus’ Ishtar Sink, the ambience of the destinations of Destiny could make one feel as though they’ve stepped into a storybook one read as a child. For better or worse, Destiny 2 changes the weight of ambience. Due to both lore and gameplay changes, ambience has less impact than it used to since the destinations are now much busier than before. The airs of wild mystery are now replaced with the underlying tension of a clash that always seems just around the corner. In the rare moments of wonder and discovery in Destiny 2’s locations, the ambient sounds now tell a more constructed story. Destiny 2 does not disappoint the eyes. Much in the same way that Destiny 2’s audio scheme is less complex but still more “busy,” Destiny 2’s visuals provide the same feeling. There is no outright sense of wonder, but the locations tell tales of civilizations past and troubles present. The Tower’s burning husk gives Destiny players what they’ve wanted for years–a chance to venture into the City. Earth’s European Dead Zone is a carefully planned area in Central Europe that has been reclaimed by Earth over the centuries since the Collapse. Titan’s New Pacific Arcology combines the familiar feeling of an industrial dock, very rectangular and concrete in design, with the flowing curves of a utopian dream city in the Arcology. Nessus’ crimson forests echo with an eerie realization that the brush is teeming with life that does not belong there. Io’s primary landmark, the Pyramidion, provides the deep dive into yet another Vex underworld that all Destiny players secretly yearn for. Up until now, all the facets of Destiny 2 in this review can be experienced by sitting back in a comfortable chair and just enjoying what’s on the screen. The gameplay is truly where the rubber meets the road. I feel like Bungie would have to explicitly go out of their way to make shooting a gun feel bad. Still the gold standard for the feel and sounds of firing familiar and futuristic weaponry, Bungie makes sure Destiny 2 not only benefits from that legacy, but that the game actively contributes to it. Everything–weapon frames, aesthetics, scopes, sounds, trigger pulls–everything just feels right. Old fashioned six-shooters, energy projection rifles, experimental tubes of destruction, you name it. Destiny 2 continues Bungie’s proud tradition of making pulling the trigger be the easiest decision you’ll make all day. The gameplay area to receive the most change in Destiny 2 is the looting system. In an effort to streamline weapon pools and perks, weapons and armor now all have static rolls. No two guns of the same name will be different mechanically. While loot does drop in the wild, most loot is obtained through activity chests and token redemption. Completing almost any activity will yield some number of tokens related to that activity or that activity’s location. Redeeming tokens with vendors yields a vendor engram that contains an item or two unique to that vendor with chances to get additional items that are in a universal loot pool. The positives of the new looting system are immediately apparent. Even though you may still have to battle RNG to grind out exactly what you want, you can aim for specific gear sets and shaders. The free-for-all of Destiny’s original loot system is mostly contained. Exotic engrams are also rewarded frequently from vendors. A predictable weapon roll system also means that there is no guttural screech of despair when the weapon one finally wants has a terrible roll on it. The perk pool has been largely trimmed of its fatty and useless perks, leaving some pretty attractive weaponry on the table. The downsides to the current loot system are more subtle, but become apparent as time spent with the game increases. Probably the most jarring part of the new system is the size of the weapon pool. There is a distinct lack of choice, especially for the kinetic weapon slot, in terms of types of guns to use. Many weapons in the energy weapon slot that have alternatives (also in the energy weapon slot) are criminally similar to that alternative, oftentimes in the same archetype and the same intrinsic weapon frame with perks that do not differentiate the two all that much. Another interesting facet of the new system is that the combination of the small weapon pool and the streamlined rewards system means that getting most of the guns available is a bit too easy, especially the weapons in the universal pool. Universal weapons could have been put behind rewards for specific activities or the Gunsmith or anything more focused. Getting guns easily means that one runs out of loot to loot early on in the game’s cycle, making reward-based activities less rewarding as time goes on. Finally, the static rolls on armor is a much bigger issue than I thought initially. Armor contains various defensive stats and can be configured up to a point to a player’s liking, but each armor piece comes with one stat intrinsically higher than the others and that roll is static for all the armor in that set. For example, take the Kerak Type 2 armor set for Titans. All the Kerak Type 2 armor is Restorative-type. As such, if I wanted the badass Kerak Type 2 helmet, it will always come with a Restorative main stat. If I wanted a high Armor- or Mobility-type helmet, I’d have to go somewhere else to find it, as Kerak Type 2 specializes in Recovery. Since fashion and identity play so heavily into Destiny’s player fantasy, especially with the added feature allowing players to shade individual pieces of gear, static rolls on armor seems a bit out of place. Static armor removes the choice that players have to look good while playing well in some cases and just hurts the fashion fantasy in others. Destiny 2’s lore landscape is an interesting conflux of present events meeting figures and legends from the past. While I won’t go into actual lore here, I will briefly describe its implementation in the game and its implications for the future of the game. Each gun has its own story. Some are a poem, some are an epic all their own. Destiny’s infamous Grimoire is no more. Players familiar with Destiny’s lore will find familiar bits actually exhibited through in-game activities and dialogue. New players will have some basic lore explained to them, but the details will still have to be researched alone. While there is no in-game library or terminal one can use to access the incredible universe that has been built up for Destiny, at least lore for some characters and gear can be viewed through Lore tabs that provide some context. While Destiny 2’s lore implementation could go much, much, much further, a step has been taken in the right direction. As long as the universe’s lore stays consistent, a way for any player to access a variety of topics would add an entire other layer to the game, especially for new players. Destiny’s lore is interesting, frenetic and often humorous–showing that to the players would be a good thing for the franchise. As for the implications of Destiny 2’s lore, it seems that many of the separated stories of Destiny are going to be bubbling up to the surface rapidly and possibly intersecting. The pace of lore delivery and reconciliation seems to be picking up since The Taken King and, via the Adventures and Quest system in conjunction with the player campaign, now seems to be able to either close chapters on existing stories and turn new pages in the bigger overarching epics in the annals of Destiny lore. In the end, Destiny 2 is a much better Destiny. The reasons are probably myriad, but Destiny 2 wasn’t a radical departure from the first entry in the franchise, but looks like build on that foundation and move forward boldly into the vast and dangerous Destiny universe. The storytelling and characters have become a little more dynamic. At the same time, the gear and replayable content have become a little less so. Destiny 2 in its current form is a great game for Destiny players. For new players, it will take some time, but with enough strikes and Crucible matches under one’s belt, they’ll learn the lovable nature of the game that is sometimes hidden between the lines. For now, Destiny 2 is a great game. In the future, though, it will have to take significant strides to become a game that is truly worthy of its namesake. If you’ve read any or all of this review, I’d like to thank you for sticking around and reading. I appreciate your time and I’d like to thank Bungie and its partners for delivering Destiny 2 to the players. Excellent review. Very articulate and positive while still being critical.